Looking for the latest in high quality digital camera rentals? Bolt Productions has the best products and service in Dallas. From DSLR, Cinema, Medium, and Large Formats, you’ll be sure to have all your rental needs met. All Dallas camera rentals rentals require insurance to protect not only our equipment, but also the renter. 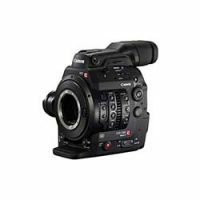 From Canon, Sony, and Zacuto, you can find every top-tier cine camera brand to rent at Bolt Productions! Cine cameras are the most dominant type of camera in the motion picture industry, used for film and television productions and even video games in some instances. Paired with a variety of cine lenses, these cameras can record continuous motion while capturing exceptional video quality. Record high-end compressed 4K images with the Canon C300 EF MK II, our number one cine camera that also features a mount for interchangeable lenses and full hd shooting. Or if you need a Sony, how about the Alpha a7SII, a mirrorless camera that offers an impressive blend of sensitivity, dynamic range, resolution, and speed to benefit a versatile multimedia workflow. DSLR camera rentals, or digital single-lens reflex cameras, are the industry-preferred tool for videography. Such cameras combine the optics and the mechanisms of a single-lens reflex camera with a digital imaging sensor, compared to photographic film. Compared to mirrorless or point-and-shoot cameras, DSLR’s allow videographers to see in real-time the exact scene to capture via the optical viewfinder. Looking for an action camera? 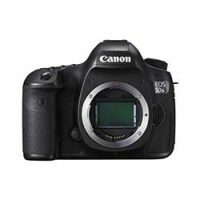 Rent the Canon EOS 5DSR, boasting a 50.6MP sensor and the absence of the low-pass filter that makes images appear to be sharper. On the higher-end digital SLR camera spectrum is the Canon EOS 1DX Mark II, a must have piece of equipment that brings shooting speed and video capabilities required by professionals to a new level. Unsure of where to find your favorite large format rental brands at an affordable price? Bolt’s got what you need. 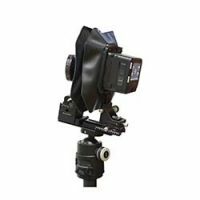 Our Cambo camera kits and accessories are classic large format equipment pieces, utilizing sheet film sized 4×5″ or larger with the most common film sizes being 4×5″ and 8×10″. Large Format Cameras like the IQ280 H with Cambo Actus DB2 boasts better, sharper resolution in photography. Additionally, such cameras feature interchangeable lens mounts, allowing the photographer to move the lens up and down and to either side or angle it in almost any direction, within limits, all in relation to the position of the film. Medium format film cameras make use of the 120 film size by utilizing a digital imaging sensor that mimics that size. Such cameras are known to produce very high-quality images with near perfect color reproduction accuracy, and are often used for advertising or fashion photography. Medium format sensors capture images that are slightly smaller than the large format film size, but are larger than those taken using full-frame sensors or 135 film. Curious to see the results? Try out our Hasselblad H4x Camera with 80mm Lens, permitting a wide range of digital backs and a film magazine to suit a versatile workflow. Completely fill out and return the Rental Account Agreement. Provide a copy of your current Driver’s License and Credit Card (front & back). equipment on an All Risk, Replacement Cost basis. Rental equipment must be returned in the manner it was rented. Please feel free to download this sample policy to help explain the requirements. The red text on the sample form hi-lights the important information required on a policy. The sample download form below has dollar amounts filled in that are required for equipment and grip truck rental. Discuss with your insurance agency or agent, exactly what is covered and for what amount in your policy. A- Our after hours pick up and drop off policy is a follow. We charge $30 per hour for every hour we need to be available beyond our normal business. Hours. Weekend drop offs and pick ups are by appointment only and based on staff availability. There is a $75 minimum fee for pick up and drop offs on Saturday and Sunday. Q- Do you deliver equipment orders? A- Our delivery fees are based on time of day, quantity of gear, and distance from our location. Our general policy is to only offer delivery for orders of $750 or more. Once we know when and where you need delivery, we can provide you a quote. We also require that a member of your crew be present for drop off and pick up. Rates quoted are for curb-side or dockside delivery only. Q- Do you provide shipping for equipment rentals? A- Our preferred shipper is Fedex. If you can provide us with a Fedex number, we are happy to ship your order. Please keep in mind, there is some items that are not suitable for shipping such as rolling stands and megabooms. Q-If I do not have renters insurance, can I still rent equipment? A- We will rent equipment without a Certificate of Insurance given you can provide a credit card for the replacement value of the items you are renting. We hold that amount on your card during the duration of the rental. When your return your order, we will release the hold on your credit card minus the rental fee.